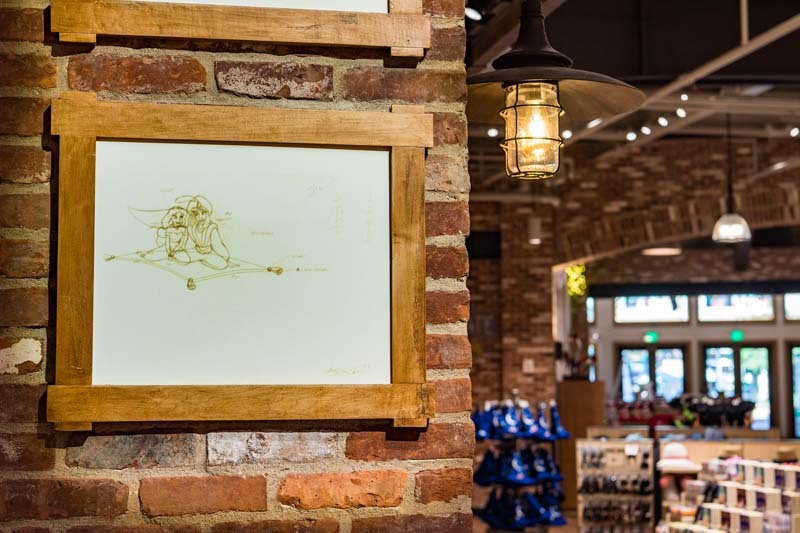 The World of Disney store at Disney Springs is one of the best and most popular places to find perfect mementos from a Walt Disney World Resort vacation. Early Saturday morning, October 27, the Disney officially unveiled a complete transformation of the store and retail experience that makes shopping easier and more fun – with a dash of pixie dust on top. We were on hand to walk through the store and watch the ribbon-cutting ceremony. Catch all the details below. 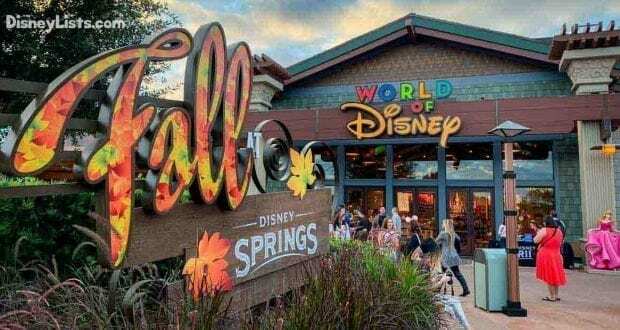 World of Disney is the largest Disney store in the world and is the centerpiece of Disney Springs and offers the most extensive collection of Disney-themed merchandise anywhere. Disney Springs is a one-of-a-kind retail, dining, and entertainment district in the heart of Walt Disney World Resort. With its namesake springs, beautiful open-air promenades and lakeside setting, Disney Springs evokes the charm of Florida waterfront towns at the turn of the 20th century. 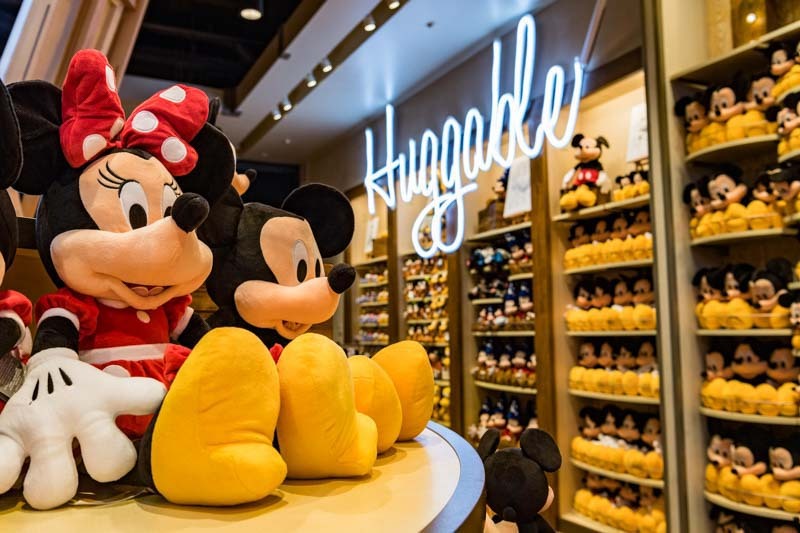 Almost two years in design and development, the grand World of Disney makeover touched every feature and function in the store, even as the location remained open to guests. 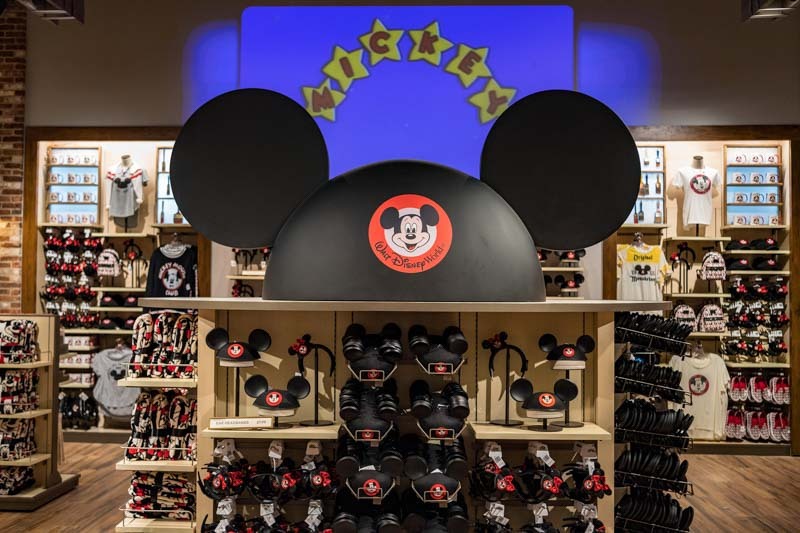 From displays to signage to lighting and much, much more, the new World of Disney creates an exciting, dynamic shopping experience where the products are the stars and guests discover magical Disney storytelling seemingly wherever they look. The transformation begins with the store’s exterior, which features new marquees and magical window displays. Be sure to look into these windows for some magic, even before you walk into the store. When you step inside, you’ll discover an open, loft-style atmosphere with fantastic visibility. The dark, separate rooms are gone, and now you’ll be able to find what you’re looking for easily. Like everything at Disney World, there is a backstory. We had the chance to hear from Stephanie Colvin, Creative Producer, Walt Disney Imagineering, who shared with us that the inspiration for the store is that the space used to be a citrus and produce exchange. Eventually, it was abandoned, and Disney artists came and transformed the space into an animation studio. If you look around the store, you’ll see faded graphics from the produce exchange. You’ll see evidence of the animation studio as well. Inspired by the history of Walt Disney Animation Studios and the “Nine Old Men,” the legendary animators who created classic films such as “Snow White and the Seven Dwarfs,” “Peter Pan” and “Fantasia.” For instance, ink jars suddenly swirl with color and animate artwork on the walls because pixie dust has remained on the jars. Also, out of nowhere, blank pages fill up with pencil sketches as if drawn by an invisible hand. There are twenty-four in all. Over two dozen magical movie posters twinkle with pixie dust before coming to life. And when making purchases, you may notice the store’s sales counters are inspired by the desks and furniture used by animators of generations past. The merchandise also serves as décor in the new World of Disney. In one area, Disney Princess tiaras create a chandelier, while elsewhere a giant Mickey Mouse Club ear hat beckons guests to the new Mickey Mouse Clubhouse Collection. Several feature spaces throughout the store will change regularly, showcasing the latest and hottest Disney offerings of the season. When new displays debut, their stunning impact will leave guests feeling as if an entire section of the store was reimagined all over again. The World of Disney stores, at both Disneyland Resort in Anaheim, California and Walt Disney World, are now offering guests the option to purchase new reusable bags, rather than use plastic bags. This program is part of The Walt Disney Company’s global commitment toward a significant reduction of single-use plastics by mid-2019. Featuring artwork of beloved Disney characters, these reusable bags will be offered in three sizes for a nominal fee, starting at $1. Traditional plastic bags are still available upon request at no charge. When we posted images of the first section of the reimagined store this July, we heard some complaints that they did not like the new store because it had lost its “magic.” We’re happy to report that now that the transformation is complete, we feel there is actually more magic in the store. The store is bright, and the open-air feel of the place is fantastic. There are numerous surprises to discover, and everything from sound effects to lighting to wall art is designed intentionally to entertain and delight. Pay attention to lighting effects and music that correspond the theme and characters featured in separate areas of the store. Also, be sure to keep an eye out for different elements to come alive with magic while visiting. Walking through the store is a much better experience now. We remember the days of trying to navigate through the packed, darkened store with toddlers in a stroller and it was miserable. Shopping in a group was a challenge because it was so hard to stay together and finding what you wanted was also tricky. Those days are gone. Aisles are wide, and you can see all the way across the store. Imagineers have woven signage artfully into the décor to not only enhance the atmosphere but make it very easy to tell where specific merchandise is located. 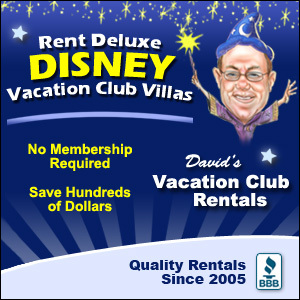 We were surprised to learn from Cast Members that the store has not increased in size. The store certainly seems larger because it’s so open and it’s so easy to explore the store. We’ve already mentioned the magical touches sprinkled across the store. We’re excited to spend more time in the store and look forward to fresh experiences when we come back. We couldn’t be happier with the new layout of the store and the magic found there. The theming of the store fits perfectly with the new Disney Springs, and it is a much more enjoyable shopping experience. 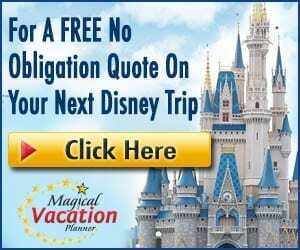 While even the tiniest of changes at Disney World brings the inevitable “Walt is rolling over in his grave” comments, we think the redesigned World of Disney is a HUGE improvement and a total home run! Check out our Instagram Story with photos and video by following this link!